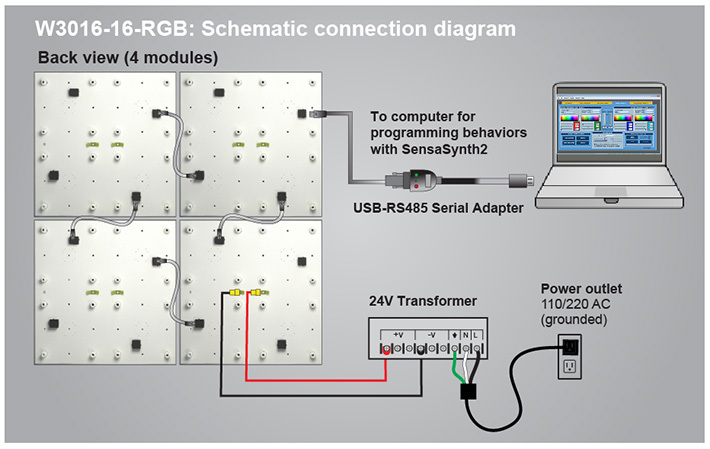 the SensaSynth2 software onto your Windows PC or laptop. The latest installer can be found here. your PC to the Sensacell Panel using the SensaComm USB Adapter. 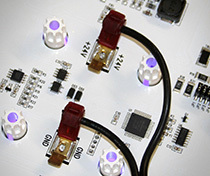 The USB terminal goes into a USB port on your PC, the RJ-45 Terminal into any open port on any module in the assembled panel. 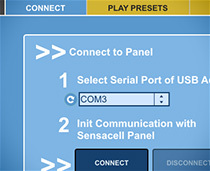 identify the correct serial port used by the SensaComm USB Adapter using the pop-up menu, and click the Connect button.